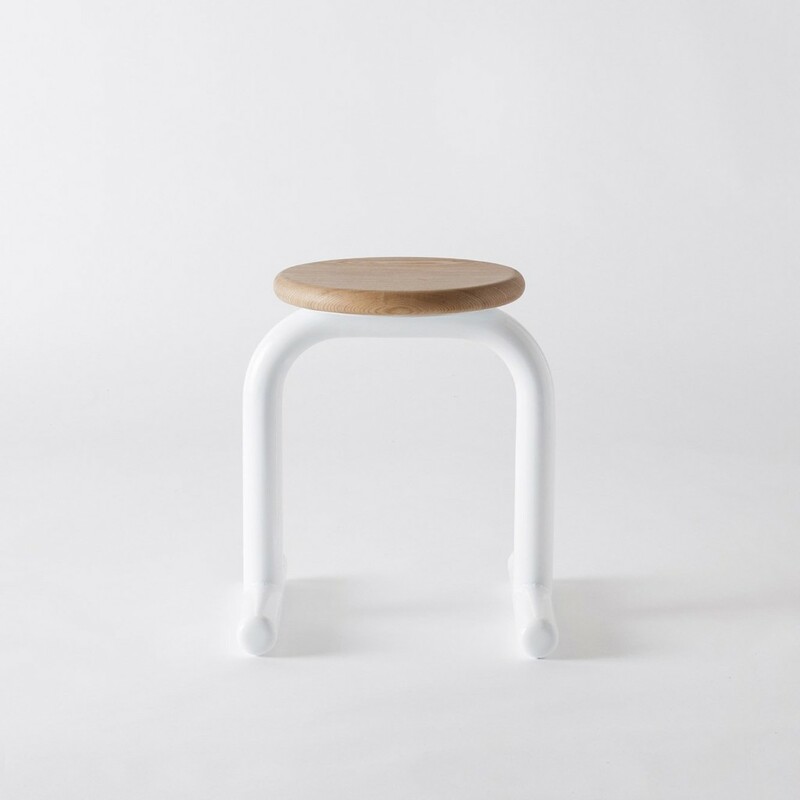 available in: MATERIAL - POWDER COATED STEEL, AMERICAN OAK/ PLY. finish - frame and seat colours can be customised, see standard colours sheet below. 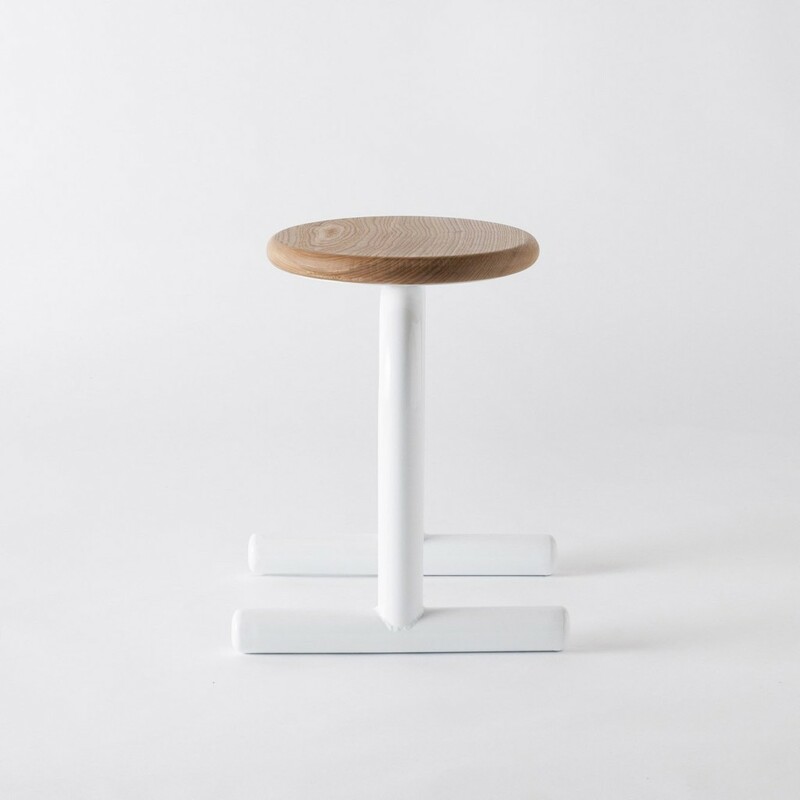 Sir Burly is the single stool in the Burly collection. 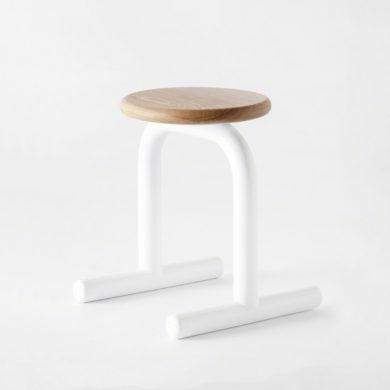 The most animated of the collection, the horizontal sled feet and the single bent tube forming the vertical support represent legs and feet. 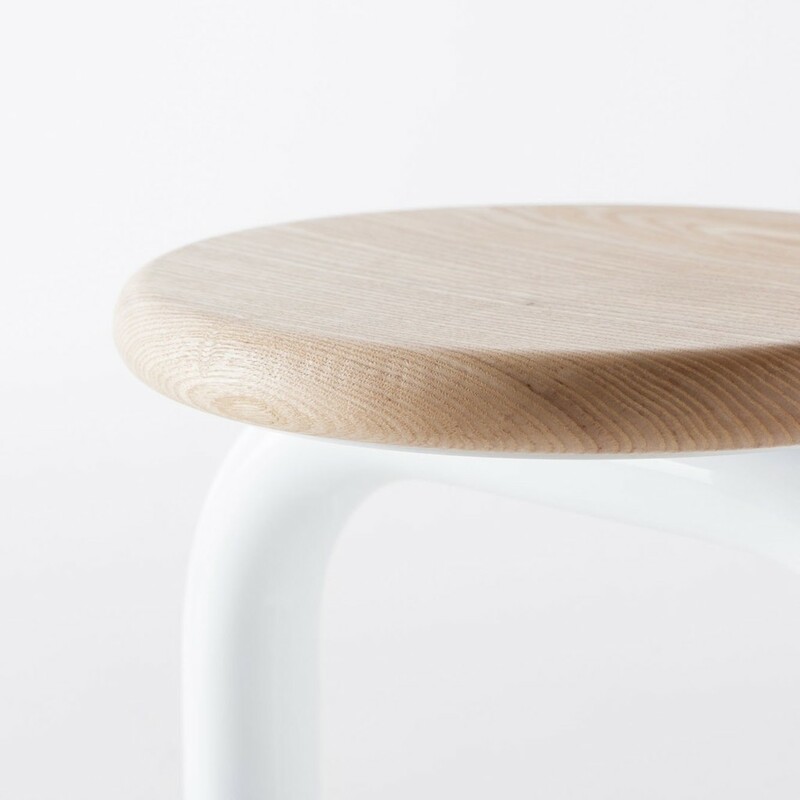 The simple frame is complimented by a single piece of round solid timber as the seat.